Are you a doctor? 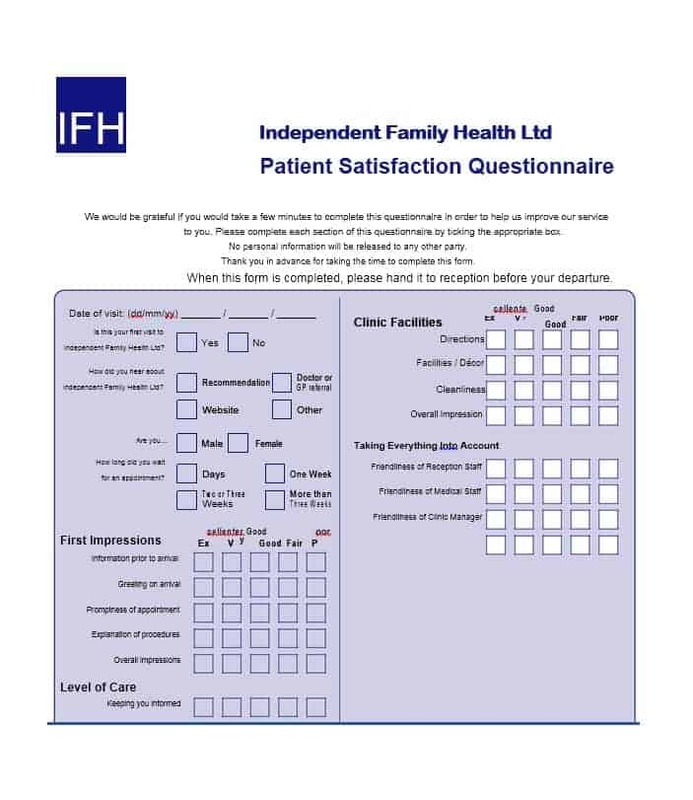 If yes then did you know that the best way to find out what patients think of your practice is a patient satisfaction survey? No need to worry if you didn’t, because here we’re going to reveal everything that you’d want to know about patient satisfaction survey. An important part of determining care quality, patient satisfaction ensures that patients are taken better care of. 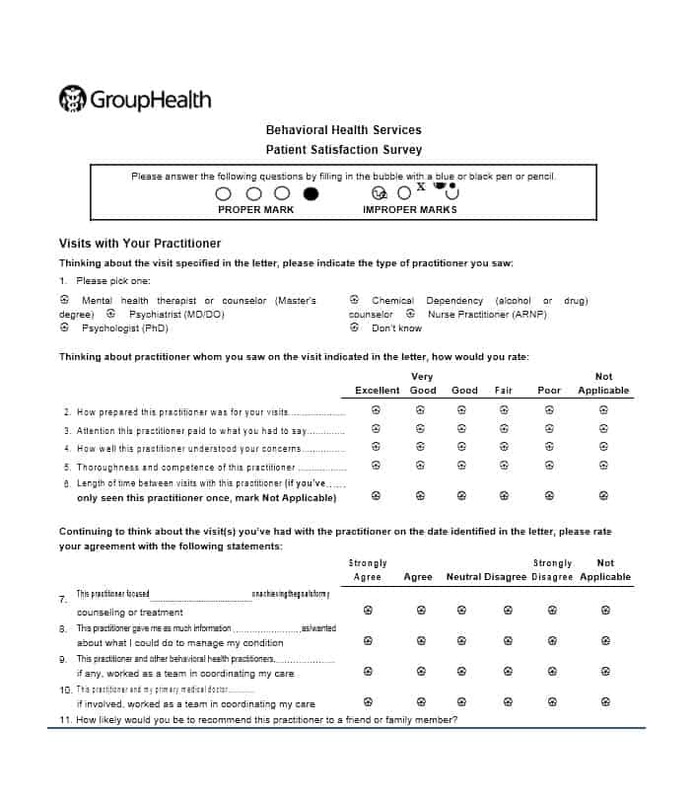 In addition to the above, a patient satisfaction survey provides doctor and other medical staff valuable data about how to improve patient experience and ensure better outcomes. In 2013, the Medical Group Management Association (MGMA) studied several medical practices to evaluate their performance. 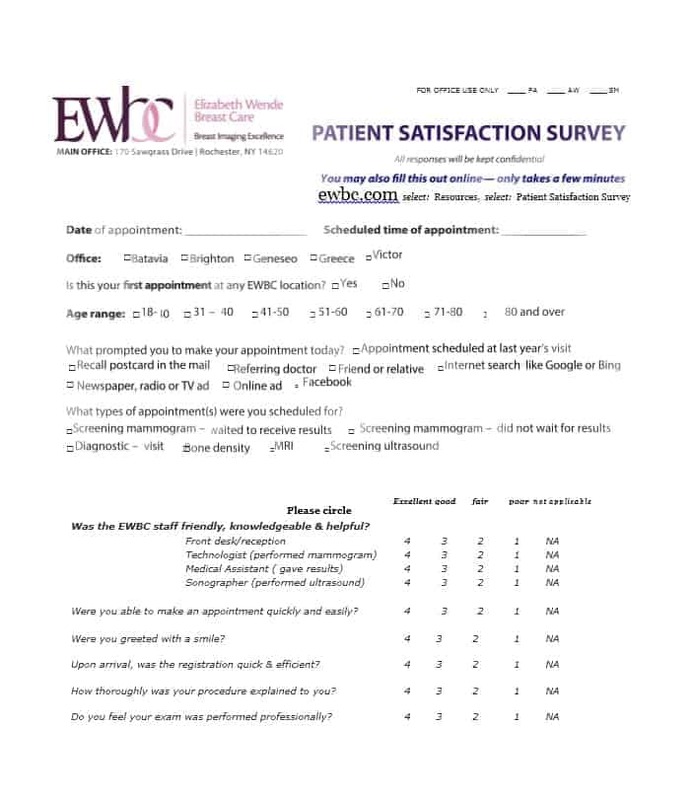 The results showed that of all the practices that performed well, 80% were those that used patient satisfaction surveys. 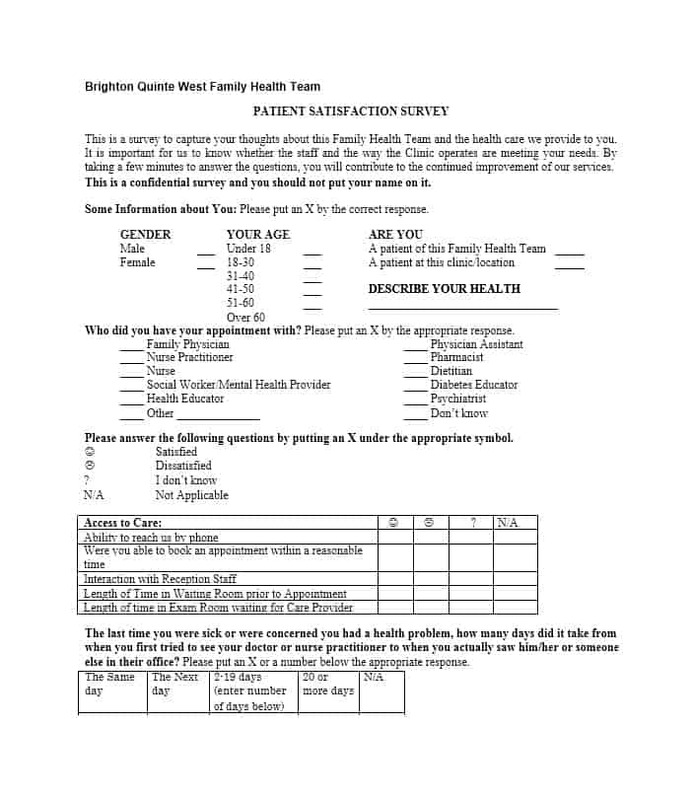 In addition to improving performance, patient surveys ensure better communication with patients. For these reasons, patient surveys may soon become mandatory. In order to evaluate performance, the government and health insurance companies have relied heavily on patient satisfaction measures over the past decade or so. By implementing patient surveys now, medical practices can prepare themselves for meeting patient satisfaction requirements in the future. 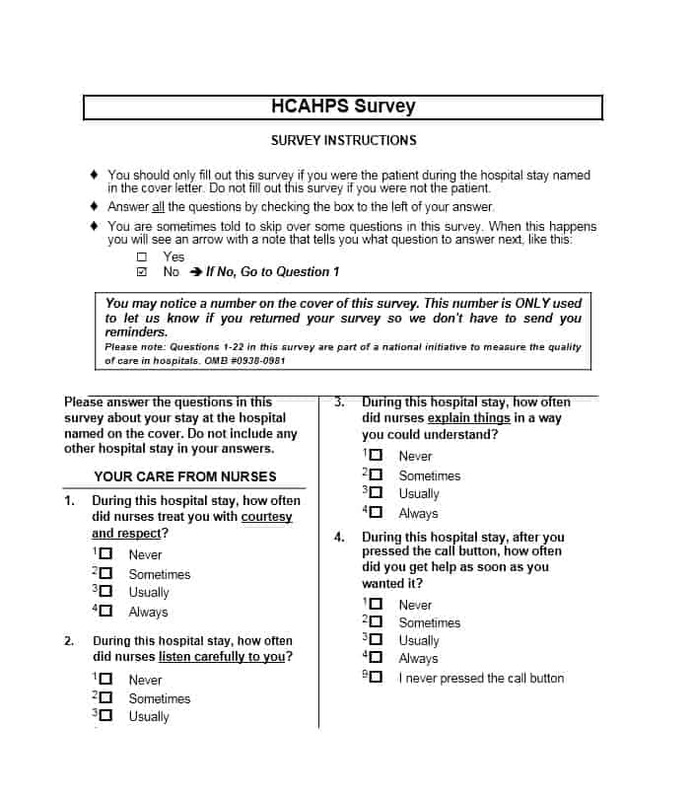 It is important to keep in mind that contrary to popular belief, a survey involves a lot more than just the patient feedback. Following is how successful practices and healthcare experts recommend developing a survey. It is important for you to sit down with your medical staff and find out the potential problem areas in your practice before you start creating the survey questions. So what are the things that you need to find out? You need to discuss with your staff and find out whether your patients have to wait too long, if they’re getting enough time with you (the doctor), do they have easy access to their health information maintained at your office. In short, you need to communicate with your staff and find out which areas need improving. 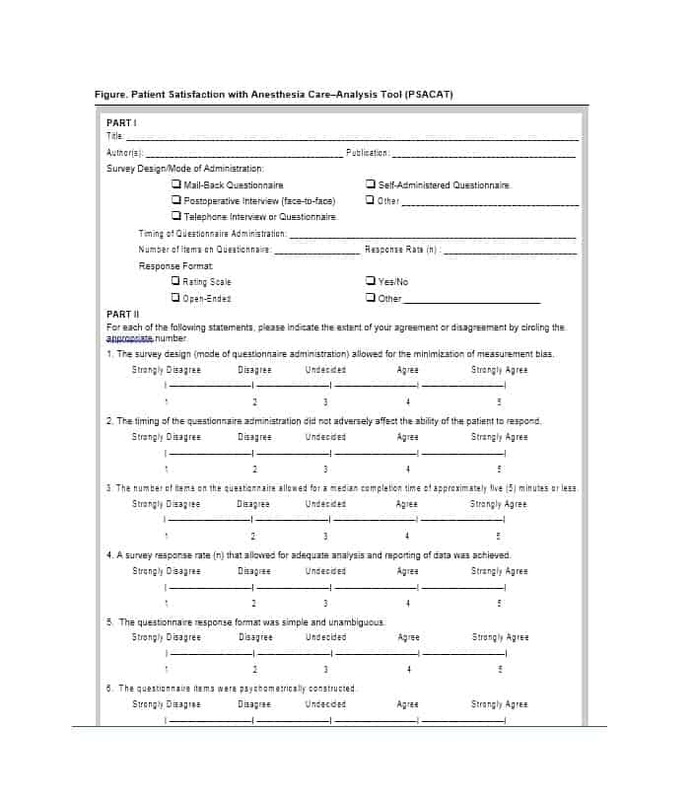 Basically, the purpose of this step is to ensure that you include only relevant questions in patient satisfaction survey. 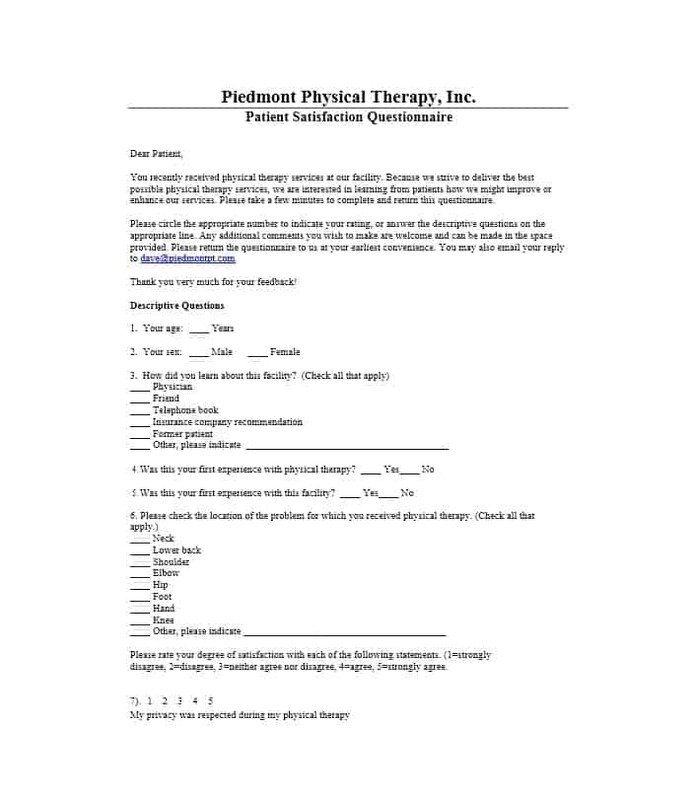 Talking about including relevant things, you can ensure that you include all the relevant things in a medical release form by using a form template. Coming back to the subject at hand, the question should be specific. 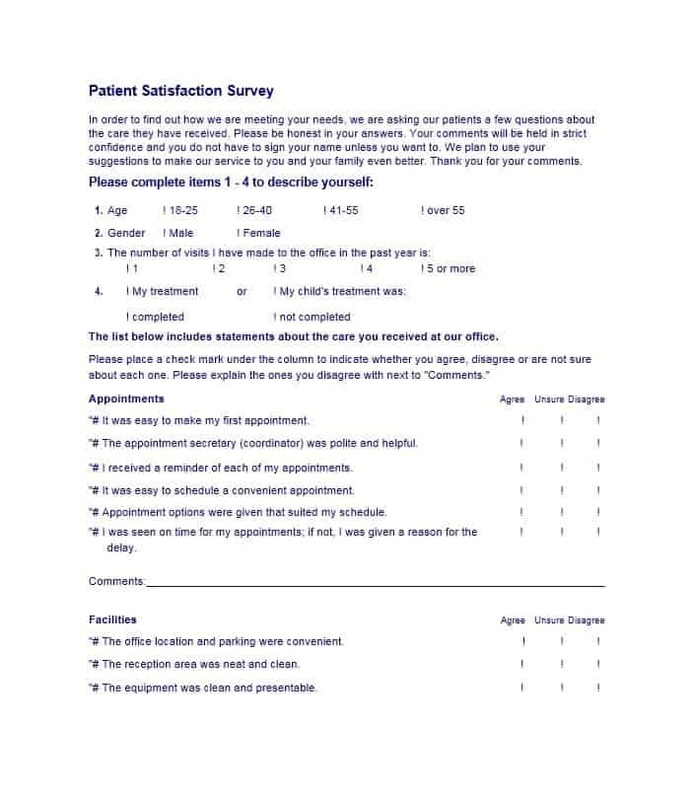 For example, rather than asking the patients how satisfied they are with your practice, ask them how satisfied they are with the time they have to wait to see you (the doctor). This will allow you to obtain actionable information. Whether they are good or bad, the results of every question should provide you with actionable information that you can use to address the concerns of your patients. For example, if patients want quicker access to the doctor, you can redesign your work schedule to ensure shorter wait times. Once you’ve done this, the next thing that you need to decide is whether you want to survey your patients for a single experience or their general experiences with the practice. 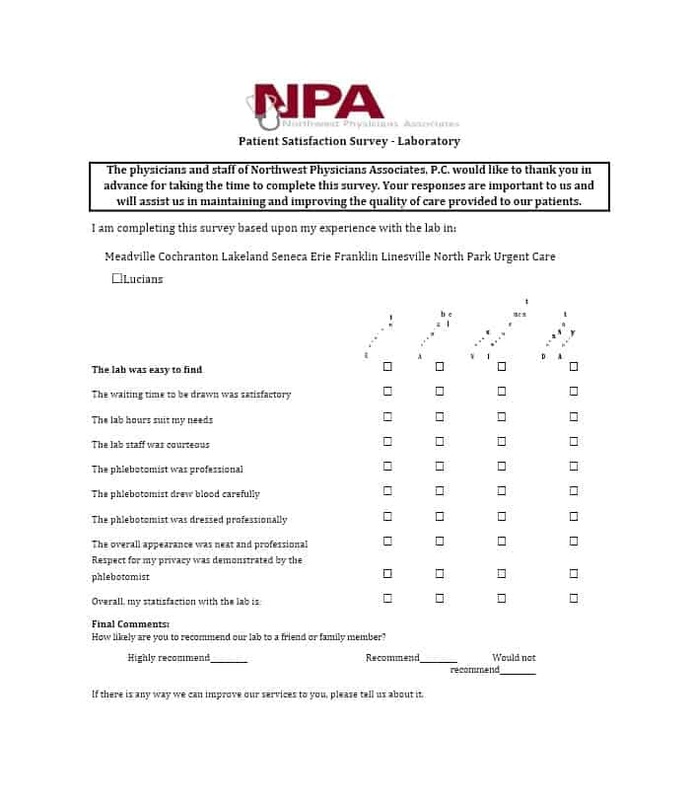 Using a single experience survey will give you only a general idea of how your patients feel about your practice. 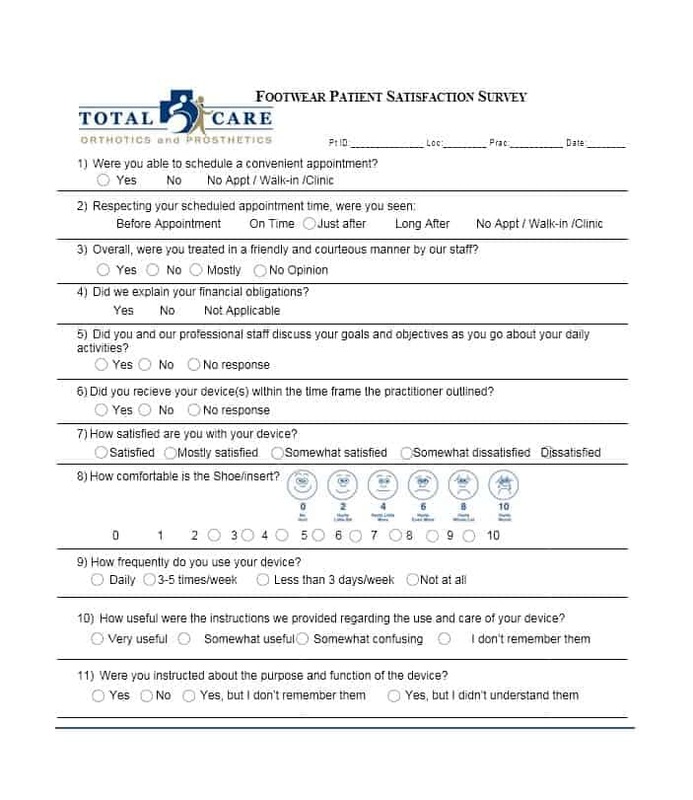 On the other hand, using a general survey will ensure that you know everything required to satisfy you patient for a longer period of time. However, you should choose a type of survey only after determining how best you can get the information from your patients. Depending on the individual patient, single experience survey may be heavily positive or negative. For example, emergencies result in a longer wait time but patients do not understand this. 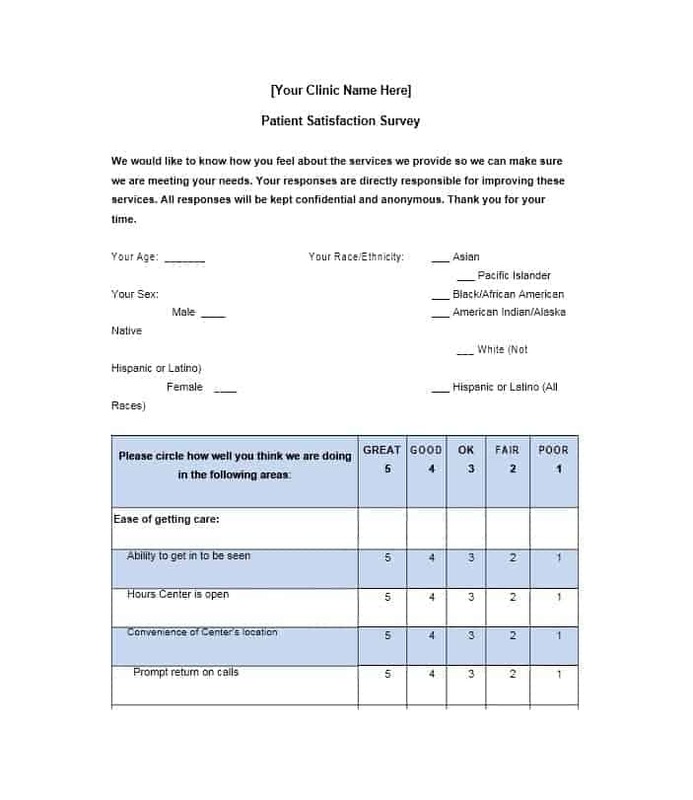 If you ask them a patient who had to wait long due to an emergency to complete a single experience survey, he/she will give you a negative rating based on that experience. 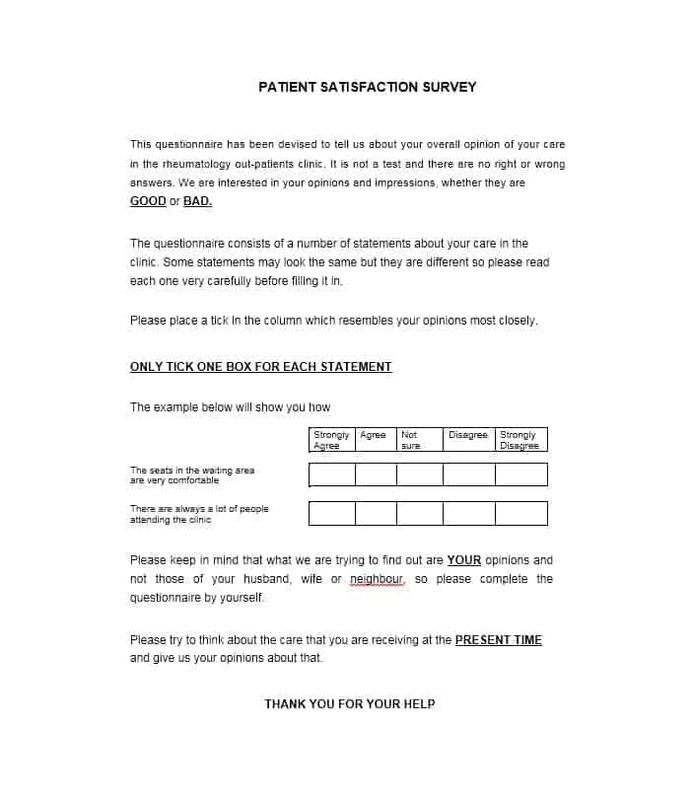 On the other hand, if you ask patients to complete a general survey, they’ll rate your practice based on its overall performance rather than basing it on a single experience. Once you’ve determined what you want to know, it’ll be time for you to create your survey. 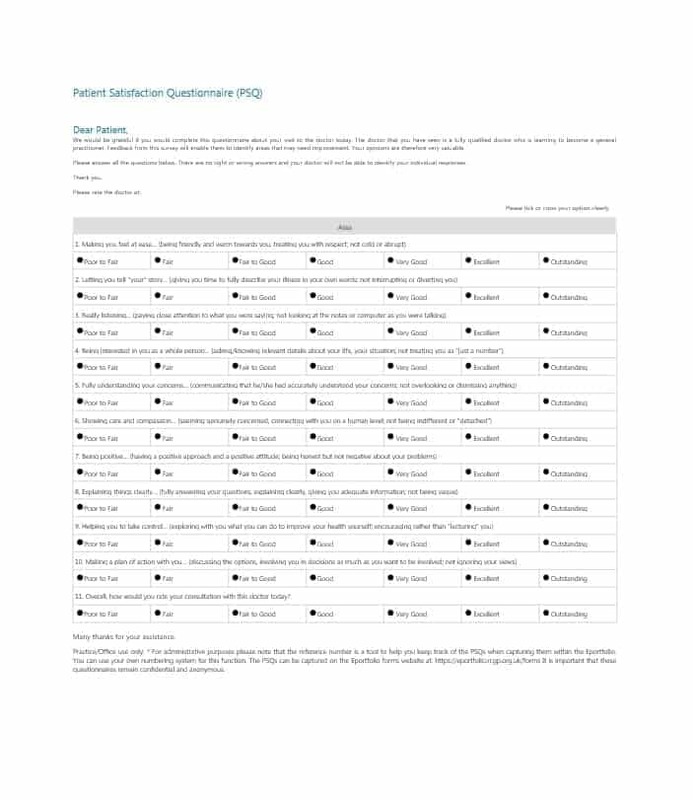 A good way to create a survey would be using a template. 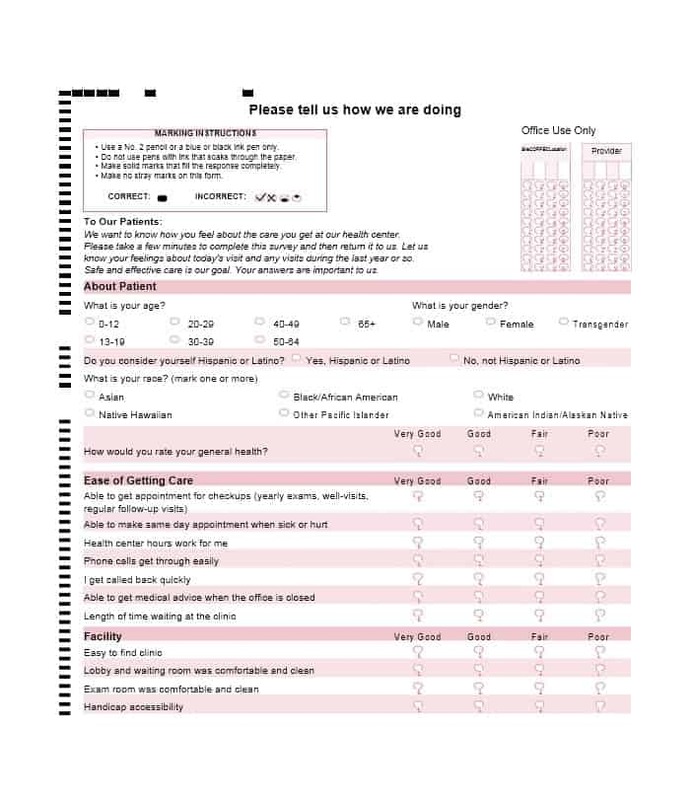 Using templates is a good way to create medical forms such as emergency contact form and medical consent form. Coming back to the topic at hand, it is important for you to keep in mind that every practice is different, so every survey is going to be different too. 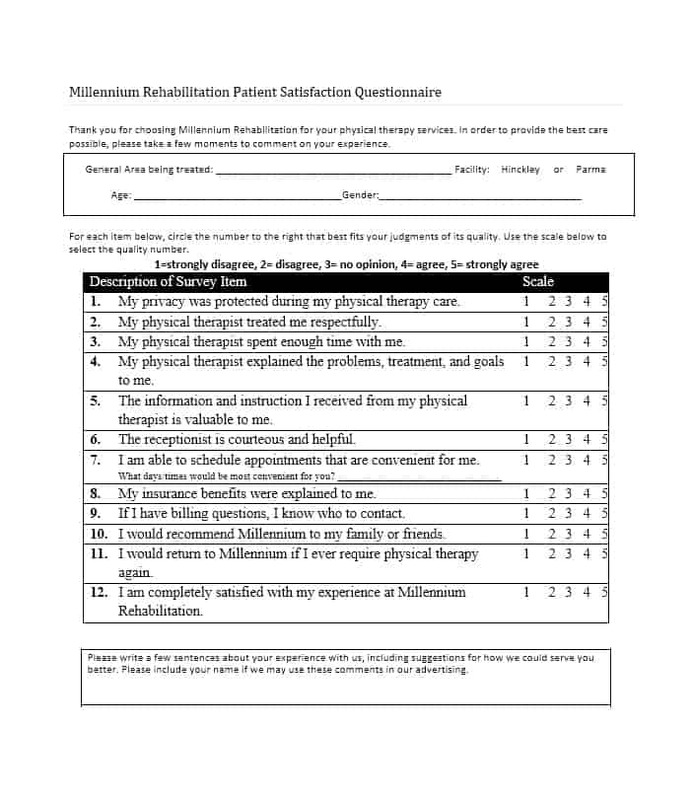 A good way to design your patient satisfaction survey is using patient satisfaction survey templates. 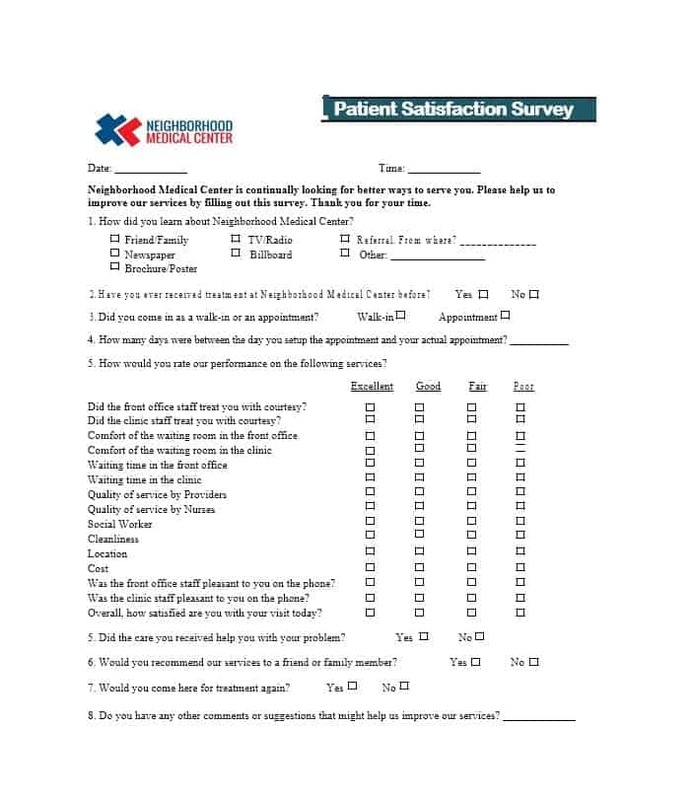 Nonetheless, following are a few basic tips to create your patient satisfaction survey. 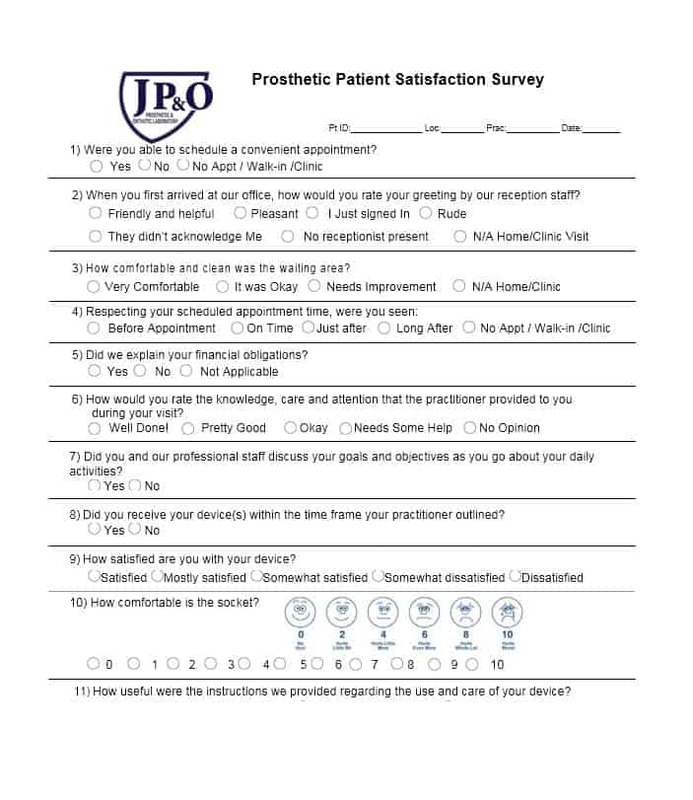 It is important that your survey includes questions that are focused on the common areas of patient satisfaction. According to healthcare experts, the common areas of patient satisfaction include ease of communication, access to care and interactions with staff/physician. While how you ask the questions can vary, you must ensure that the aforementioned topics are covered in your patient survey. This has already been mentioned above: don’t ask questions from which you cannot obtain actionable information. A yes or no response will never allow you to get actionable data. Avoid asking questions such as “Are you satisfied with the practice?” Instead, ask “How satisfied are you with the practice?” Also, give them rating options such as satisfied/neutral/very satisfied, somewhat satisfied, dissatisfied/ very dissatisfied. This will allow you to get more actionable information. The best way to determine how satisfied patients are with your practice is asking them whether they’ll recommend your practice to their family or friends. 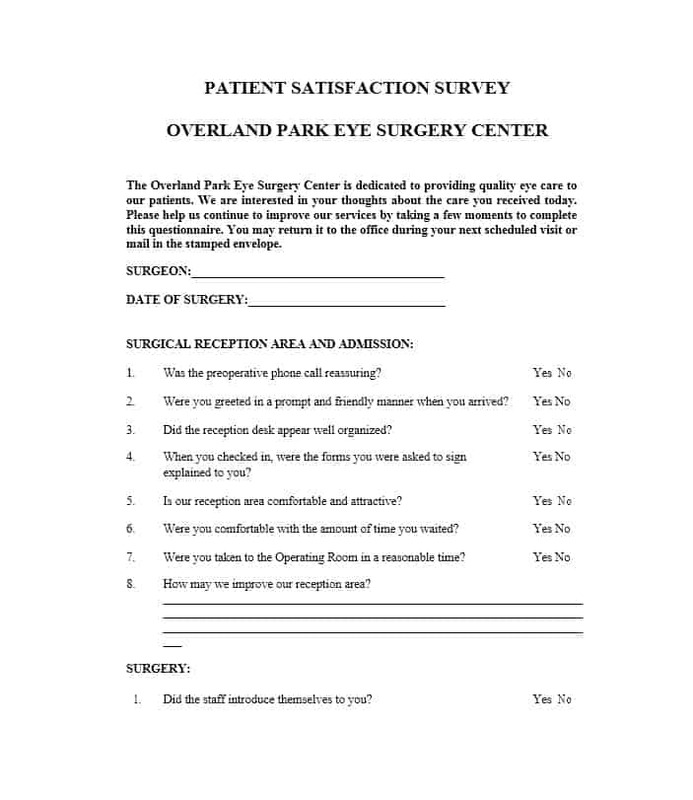 A great way to do that is through a patient satisfaction survey. 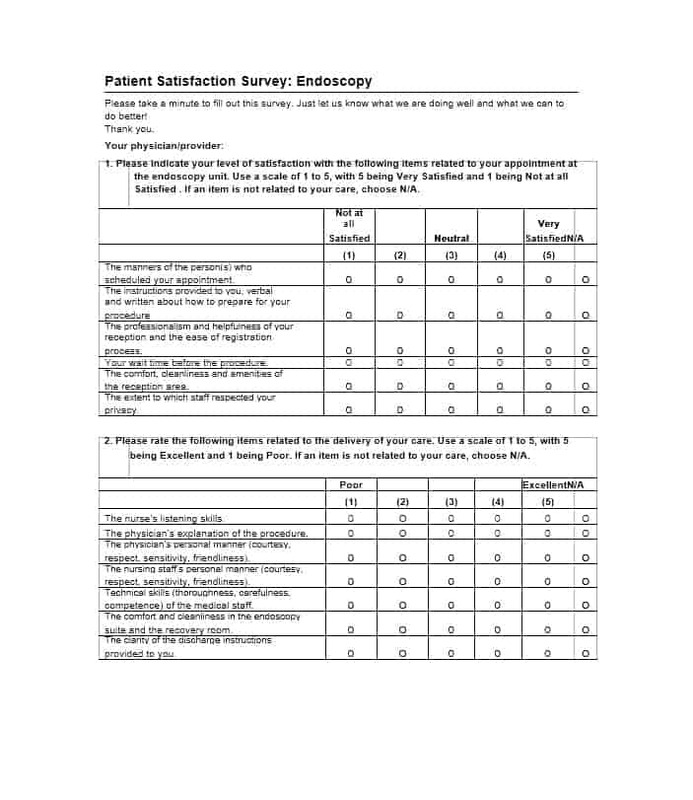 It is important for you to allow your patients to give you a detailed feedback in the survey. You can do this by including an open-ended, general comments section at the end of the survey. 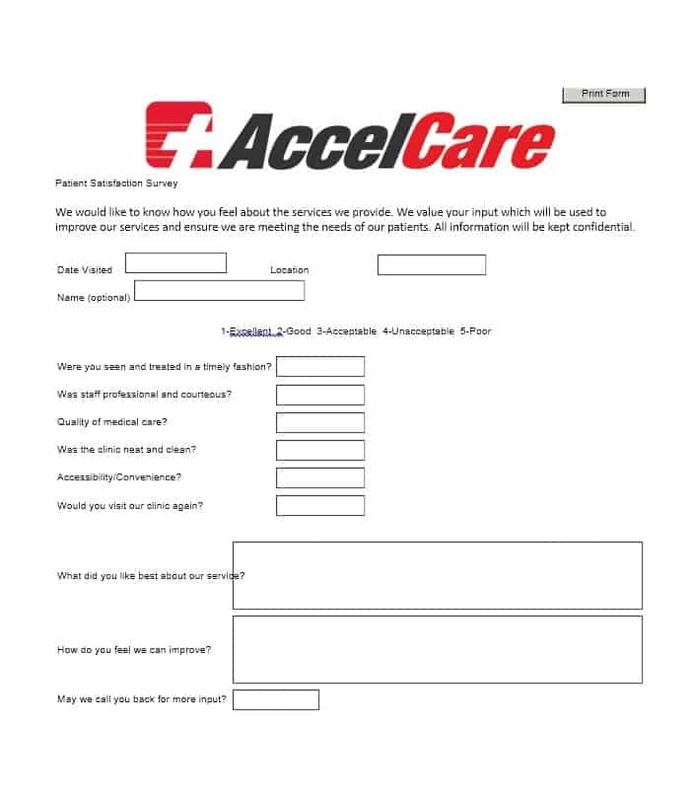 This will allow you to know the reason for your patients’ responses. 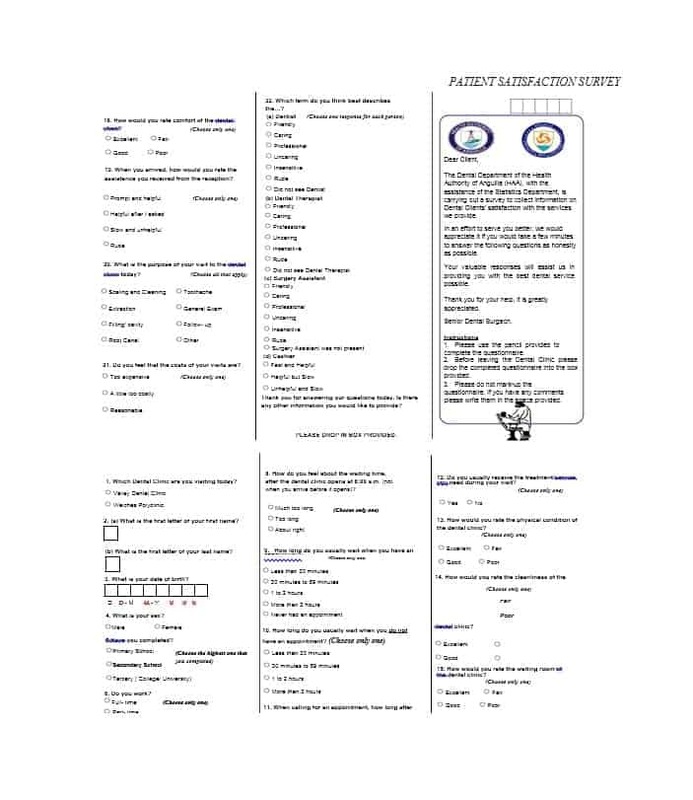 If you want to obtain valuable information from the survey then you must keep the survey to seven or eight questions. Any more, and you’ll ruin your chances of getting actionable information from the survey, which, in turn, will prevent you from improving patient experience. 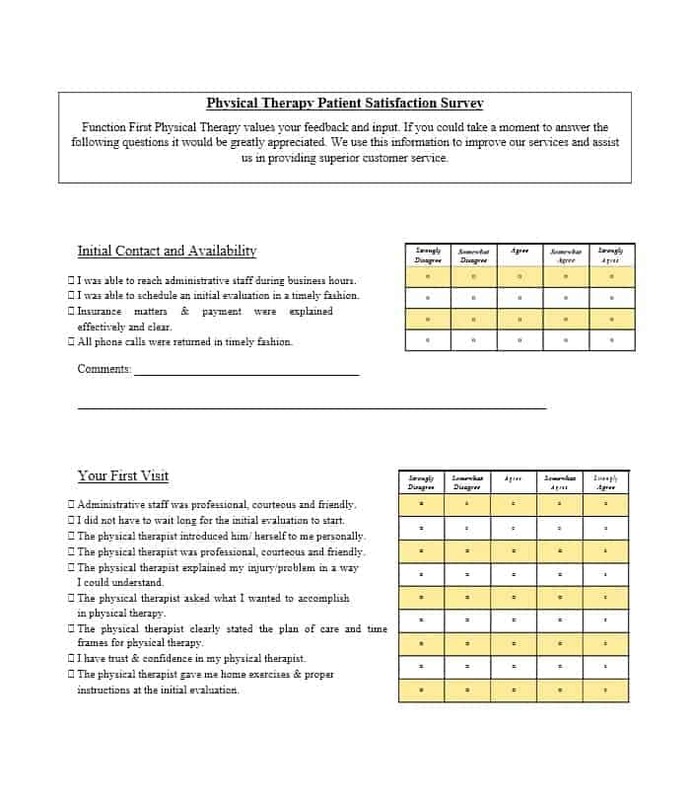 Even though not many people consider it when looking to conduct patient survey, the medium you choose to perform patient satisfaction survey goes a long way in determining the success of your patient survey. 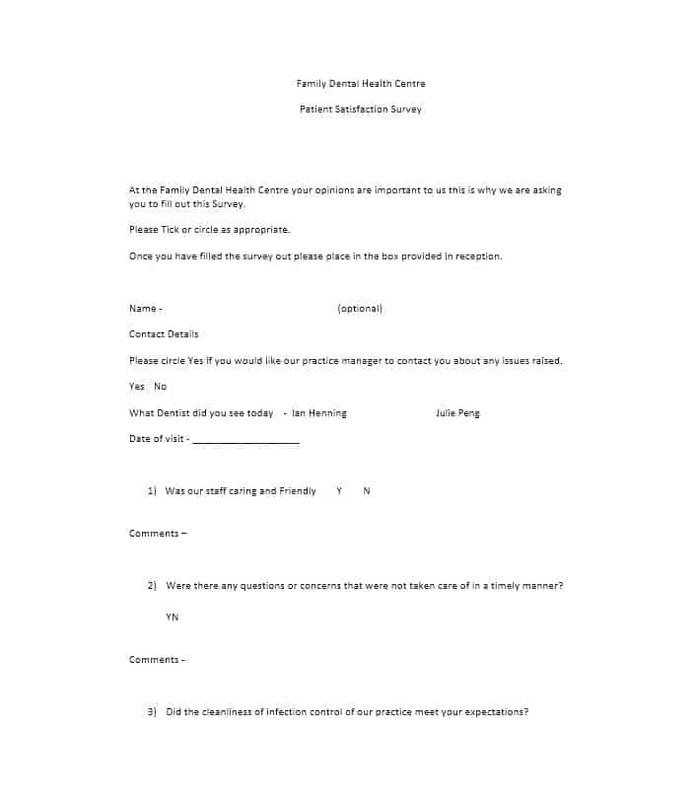 There are several ways for you to conduct patient survey including online, through the phone, via email and in person. 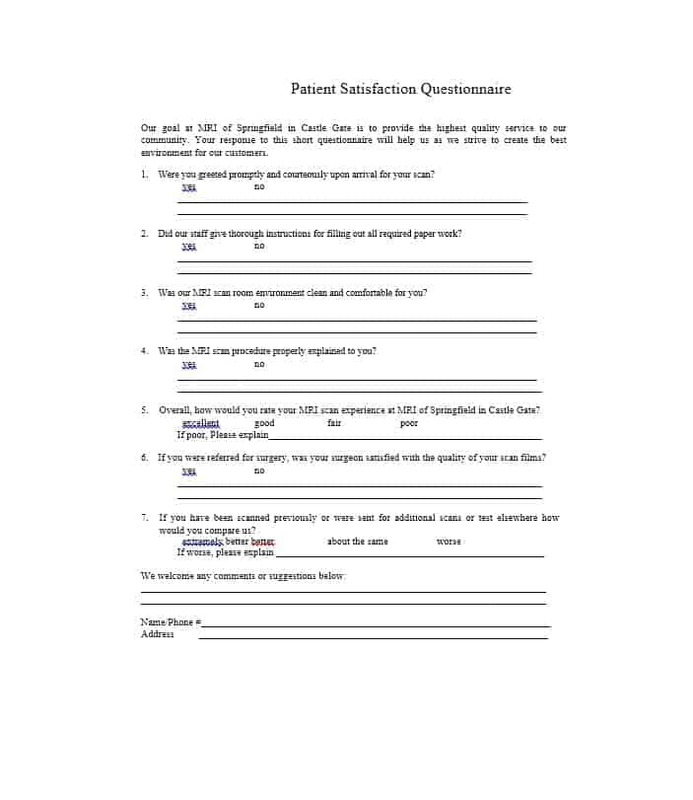 Once you’ve chosen a medium to conduct the survey, you’ll need to develop a plan to get each and every patient to fill out the form. If you choose to conduct the survey online, you’ll get the option of creating a mailing list to distribute the survey to. 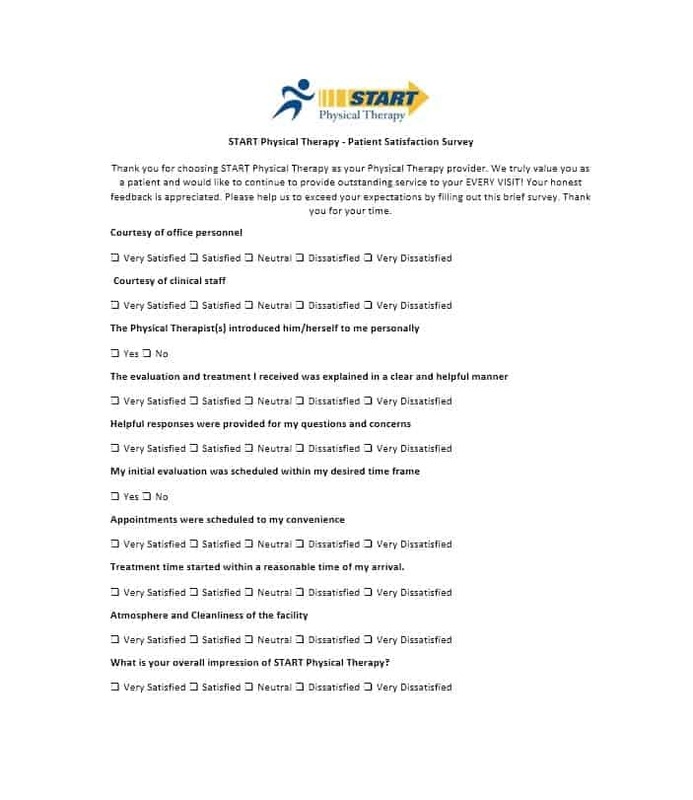 On the other hand, if you’re looking to conduct an in-person survey, then a good thing to do would be promoting the survey as part of your regular practice. 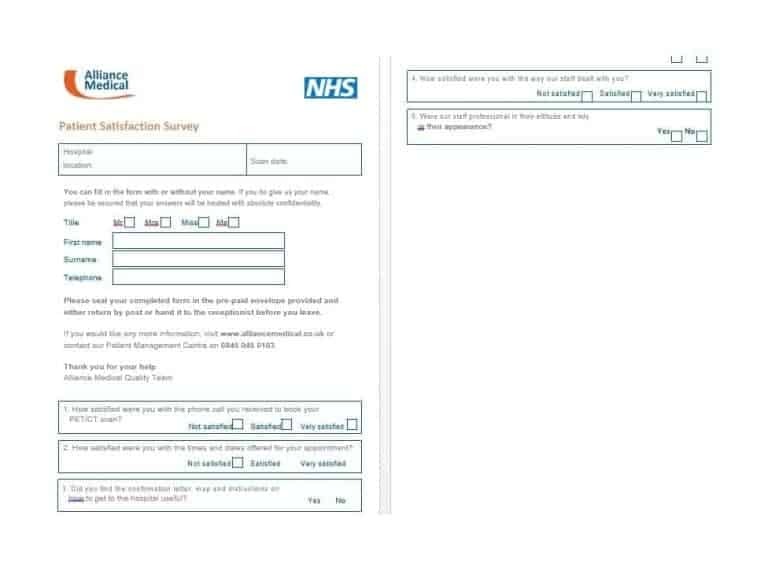 Also, to ensure that patients return the survey forms, make them as simple as possible. One way to ensure that is using survey templates. Another way to ensure that patient return surveys is giving them an incentive. Basically, tell them that when all survey forms have been returned, a raffle will take place to pick a patient for a cash prize or gift card. 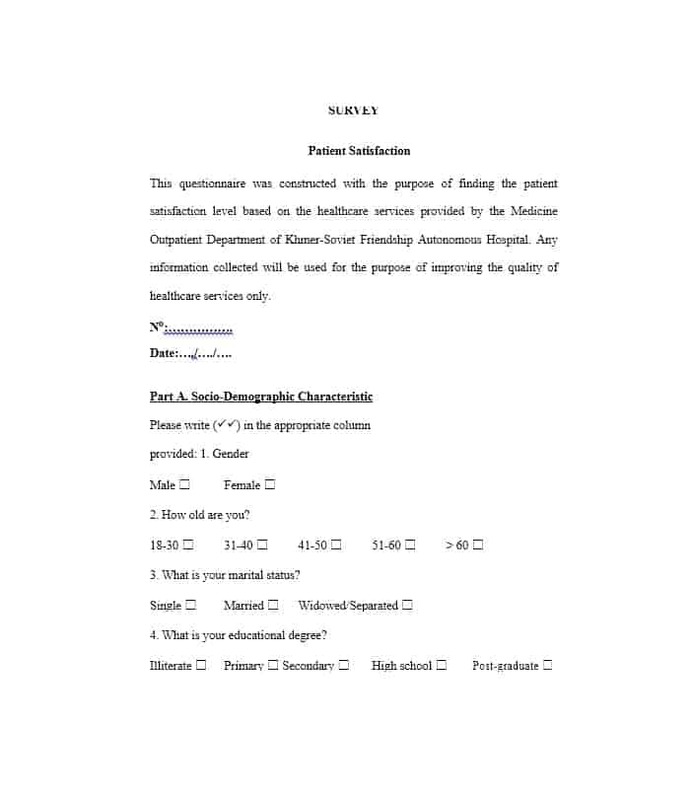 Such forms are becoming more and more common with every passing day in the medical care industry. Using this market research, both hospitals and individual medical practices are able to obtain a positive return on investment (ROI). The reason for this is the increased importance of reimbursement and quality initiatives. Today, improving the quality of medical care is more important than ever before. A great way to improve the quality of medical care is ensuring patient satisfaction. As mentioned above, it is important that the survey questions you create are able to help you obtain actionable information. Once you’ve obtained actionable information, you can use it to address the concerns of your patient and improve patient experience. 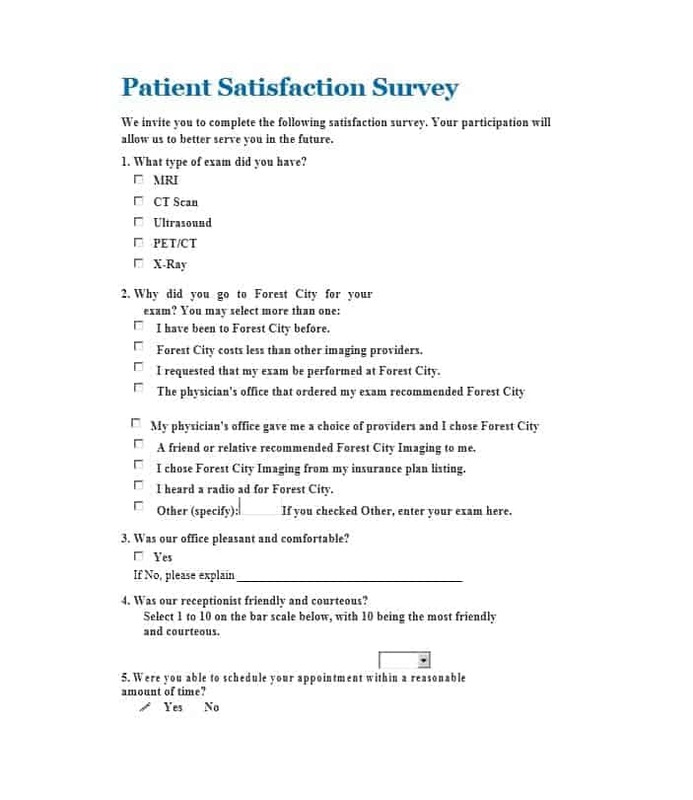 For this reason, one of the best ways to develop a patient satisfaction survey is using patient satisfaction survey templates. You can easily find these templates online.